20.5″a Marine LED tower bar, double row of cool white LEDs. Tough Alodine coating to prevent corrosion. 150 watts, 10.87 amp draw, 10,460 raw lumens. 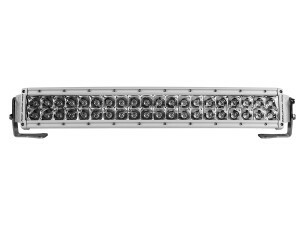 30.5″ Marine LED tower light bar. Corrosion protected to withstand the harsh marine environment. Double row LEDs, cool white color. 225 watts, 16.3 amp draw, 15,690 raw lumens.